Bahria Town has announced that they have planned to start an exclusive transport service from Bahria Enclave Islamabad to the prominent points of the twin cities Rawalpindi and Islamabad. Bahria Town Rawalpindi will start this service soon. This transport service is consists of Air-Conditioned Buses, Taxi and Wagons. This service will help the public to easily travel between Bahria Enclave and the twin cities Islamabad and Rawalpindi. Bahria transport service will offer discounted rates. 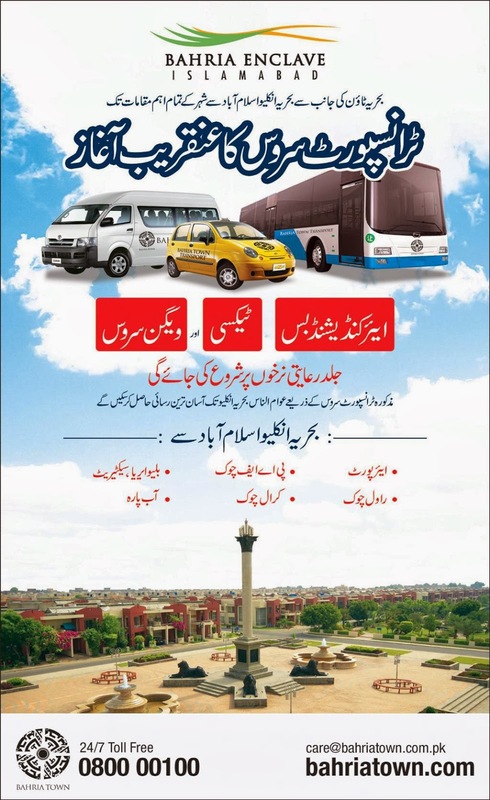 We hope that this service will be beneficial for the public travelling from / to Bahria Enclave Islamabad.